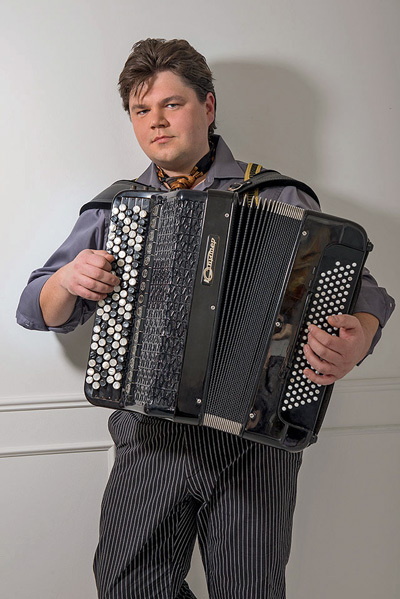 "Sevastian is a sensitive and accomplished performer in this crowd-pleasing jewel"
"Johann Sebastian would himself have marvelled at the colours Sevastian’s fleet fingers pulled from his instrument. Astonishing!" "Sevastian masters the accordion with the most absolute swiftness"
"A bravura piece by Aram Khatchaturian, played brilliantly by Sevastian..."
"Extremely passionate, yet refined, Sevastian gave a truly inspiring performance"
"Lots of infectious humor and some world-class accordion-playing by Alexander Sevastian..."
"The speed and the dynamic intensity with which he played made it obvious to all that his International competition accolades were well deserved"
"Button accordionist Alexander Sevastian played the solo part sweetly and modestly, with evident skill on his instrument."